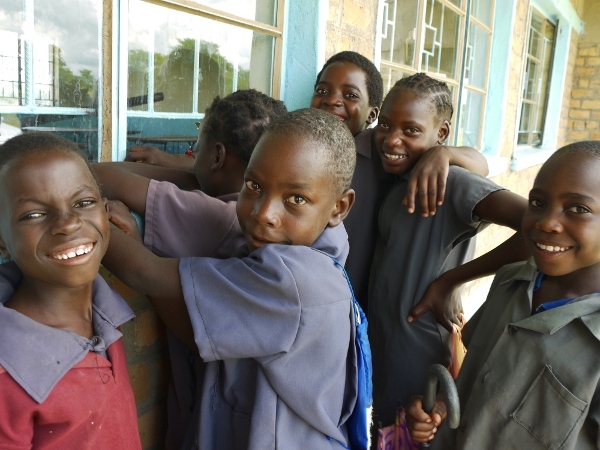 Kids at Simakakata on the first day of term. Now with added windows. A chance encounter with an administrator from Care International today resulted in my wife opening a nursery for the people rural of Simakakata in Kalomo District, Southern Zambia. She doesn’t know about it yet, so let me explain. Today was my first day back at Simakakata Community School, finding out what’s changed over the year and a half since I last visited. I’ll share more thoughts about that here and on the LearnAsOne site, but just as I was leaving, Boyd from the Kalomo Care office arrived – also to check on the progress the school has been making (excellent, in case you asked. Since last year, the Grade 7 pass rate has doubled). Boyd asked George, the headmaster, if he’d be interested in a project to build a pre-school playground using locally sourced materials and recycled tyres. It wouldn’t cost much, and Boyd believed he may have some funding left over from a similar project further north that he could use. I asked George why a pre-school was important, when building the primary seemed to be the priority. No pics of the nursery yet - I'll visit tomorrow. 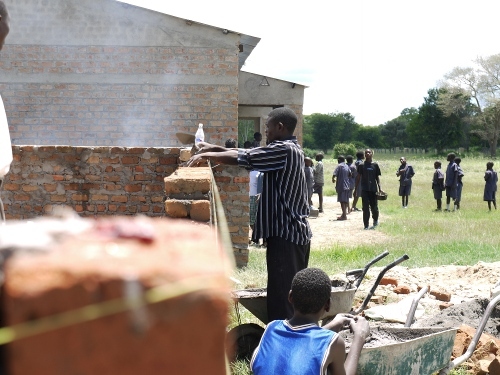 So here's one of the classroom LearnAsOne has funded being built. In order to make the pre-school work, George is convinced that he needs to hire a professionally trained and committed specialist teacher. He’s done the sums, and reckons he would have to charge families around 45,000kwacha (£6) per term, but because the local subsistence farmers don’t understand the benefit, they are unwilling to pay. By a happy and strange co-incidence, just before I left for Zambia my wife gave me £200 to pass on to George. She had an unforeseen windfall last year, and wanted to give some of the money to Simakakata. After buying some Christmas presents for the children there (shoes for some of the ones who had to walk in the rain barefoot), there was about £150 left over – which is almost exactly one million kwacha. I’m not going to ask George to dedicate the new nursery to Tamsin, although it’s certainly a thought, but the money will subsidise it for at least the first two terms by supplementing the fees of those who can pay until the whole community sees why it’s a good idea. That’s the plan, at least – if it works, it’ll show how a little really can go a long way in development.